Since its debut in 2011, Aventador has been the most desired supercar. 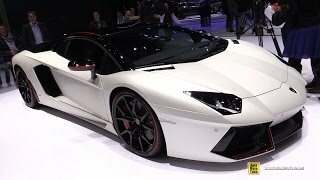 Commendable design and throbbing power always gave wings to the speed lovers and this time with Lamborghini Aventador LP700-4 Pirelli Edition 2015 expectations raise. Reason being the Lamborghini with its most cherished model is celebrating their collaboration with their tire company Pirelli, and a recent example of this collaboration is the Huracan. 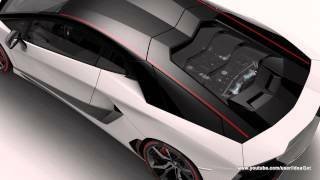 Well the list is huge and we are here to discuss about the 2015 LP700-4 Pirelli Edition of Lamborghini Aventador. Let’s learn what the entire model brings with it. Not much you’ll notice in the interior of Lamborghini Aventador LP700-4 Pirelli Edition 2015 but what you’ll see we assure is what you’ll love. Wrapped entirely in Alcantara with red contrast stitching the cockpit of Lamborghini Aventador Pirelli Edition 2015 comes with same seats and headliners with same work. The sides in interior come with leather inserts while the door panel comes with comparatively more leather offering. To add the badge of memory forever, dashboard has been given plaque of ‘Pirelli Special Edition’. The exterior of Lamborghini Aventador LP700-4 Pirelli Edition comes with matte and glossy finish offering the buyers an option to choose between amalgamation of matte black and either Giallo Spica, Rosso Mars, Bianco Isis, Nero Aldebaran, Grigio Liqueo or Ater and the second one dressed in gloss black paired to either Grigio Titans, nero Nemesis, Bianco Adamas or Bianco Canopus. However each of them has one thing in common, a thin red stripe along the roof till the hood. While the model has 21” inch alloy wheel to carry the body, transparent hood adds taste to model. The High Performance tires get a Pirelli logo embarked with red brake calipers adding to the aggressive look apart form Rosso Mars which offers yellow calipers. 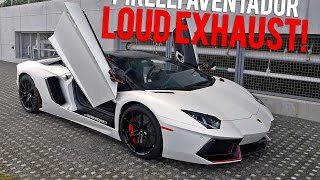 The Lamborghini Aventador LP700-4 Pirelli Edition brings under its hood massive 6.5 liter V12 engine producing 700 hp and 591 nm torque paired to Ultra Fast ISR transmission. 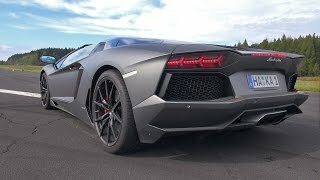 Thus the engine enables the Lamborghini Aventador Pirelli special Edition to cover the 0-62 mph sprint in just 2.9 seconds while the top speed portrays the numbers till 217 mph. 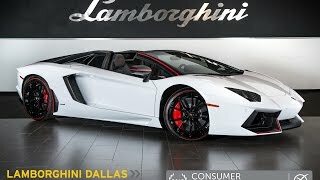 The Lamborghini Aventador LP700-4 Pirelli Edition 2015 is expected to be priced above $400,000 and will be battling in the market with ferocious Ferrari F12 Berlinetta which produces 730 hp.